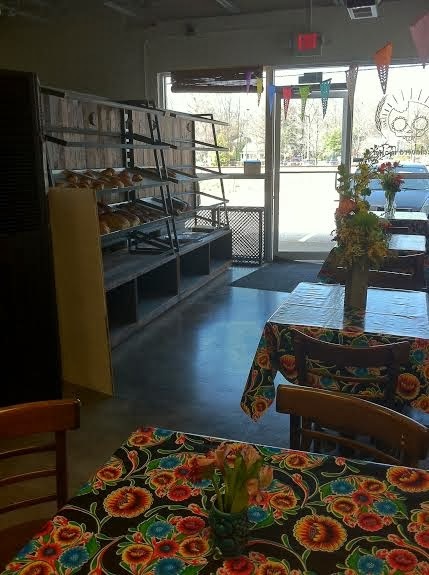 If you follow me on Twitter, you might have noticed that I tried to stop into La Calavera Bakery's newly opened (and first) retail location on Friday. When I arrived, a note on the door said they were closed for the day while they squared away final permit process details. 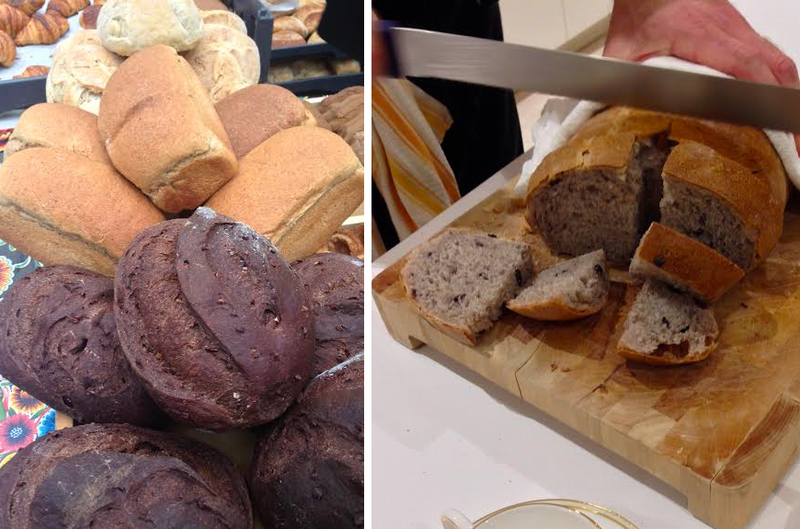 Mr. Ferguson and I returned late yesterday, and got a chance to sample a selection (both savory & sweet) of their freshly prepared & organic baked goods. 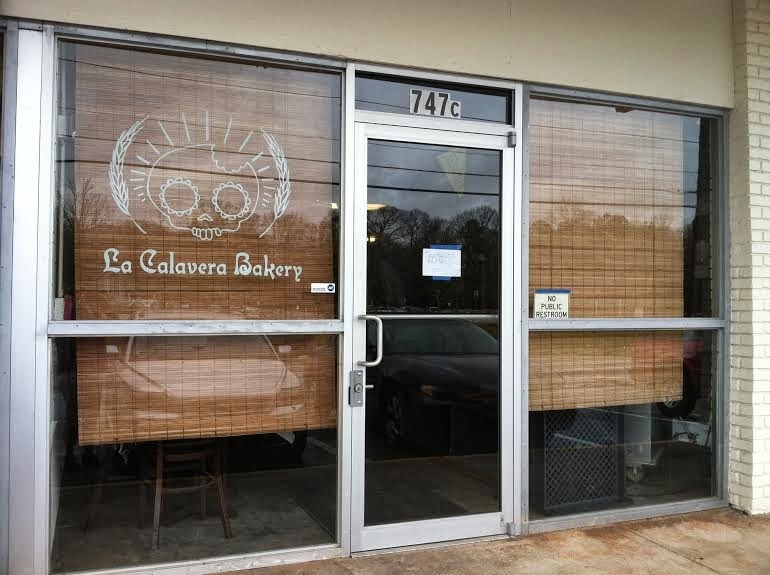 We spoke to Dale Ralston, who alongside her husband Eric Arillo, are the owners of La Calavera. 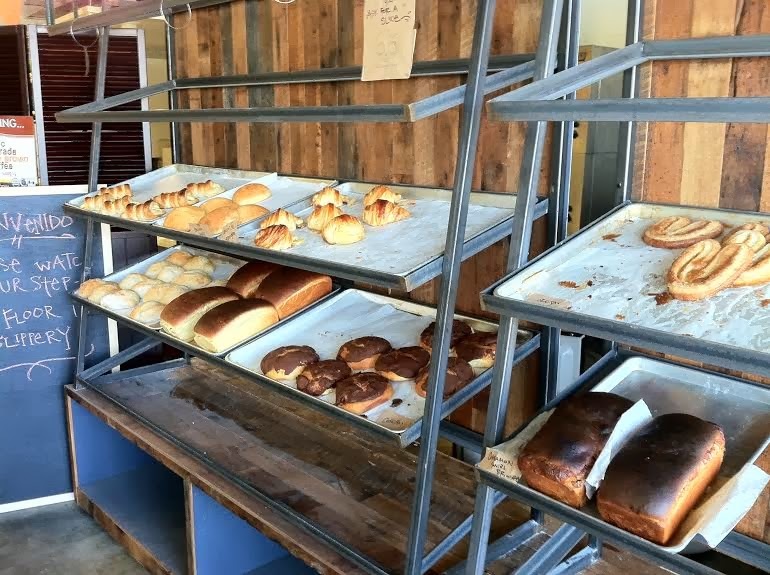 She explained that their bakery takes its style roots from traditional Mexican bakeries -- offering customers the ability to select their desired pastries and breads, place them on a tray, to then be enjoyed tableside or packaged for take-home. 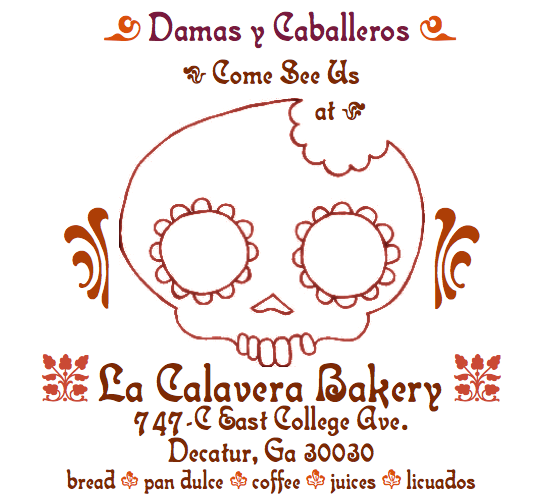 We have Chef David Sweeney to thank for turning us on to La Calavera.... 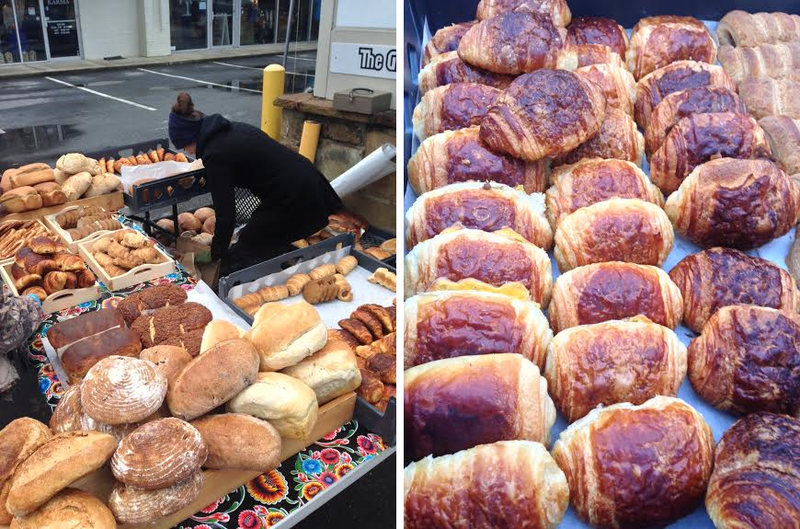 He suggested we pick up their bread for our private dinner back in February, and at that time, La Calavera items were only available at a couple of local Farmers' Markets. We selected an amazing Olive Sourdough loaf at the Morningside Farmers' Market for our dinner.... Photos below.